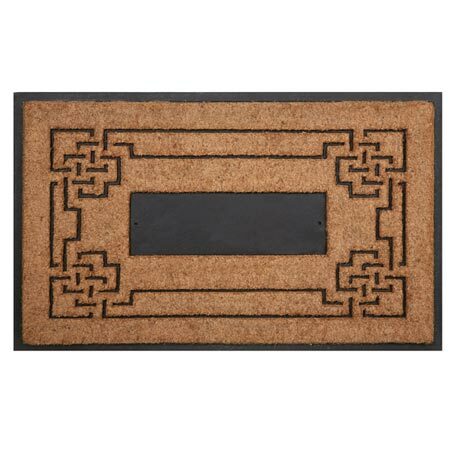 Thick, durable natural coir is embellished at the corners with intricate knots. At the center, a hand-cast aluminum plaque bears your family name or a greeting (Welcome, Bienvenido, Failte, Willkommen). Topquality, all-weather mat is backed with rubber. 38 1/2" x 23 1/2". Made in USA. Specify up to 15 characters. Allow 2-3 weeks. No rush delivery or gift box.